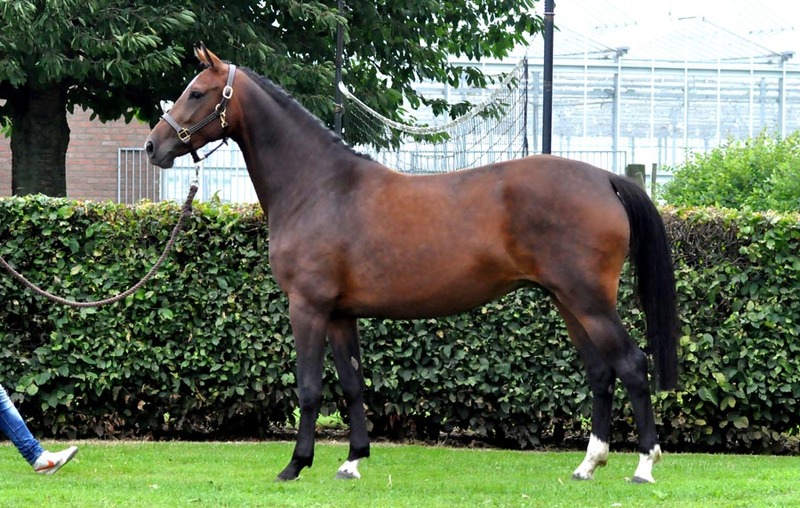 Through the combination of the stallions Chapot Adelheid Z and Rivaldo Adelheid Z the sport blood of the mare Wencke Z is trebled through her son Rival Z and her internationally performing offspring Rinnetou Z (Piet Raijmakers) and Zalza (Nick Skelton). In addition, the blood of the excellent stallion Zeus can be found three times in this pedigree. 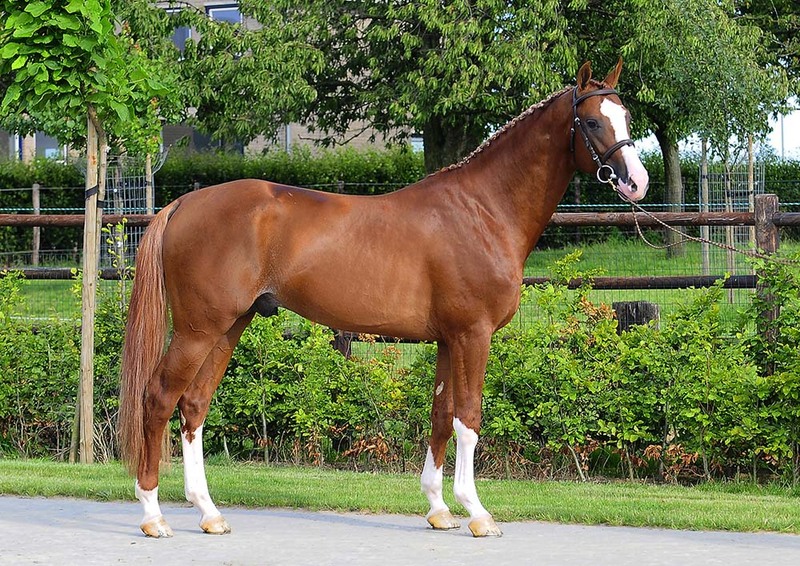 The stallion Lagrain in the third remove jumped at international level under Stefano Nogara and was bred out of the grandam of the celebrated stallion Capitol I. Great-grandam Famose jumped at S level (1.40m) under Volker Höltgen and, in addition, she is the dam of the Olympic showjumping horse Chambacunero (Quidam de Revel) ridden by Manuel Torres, Word Cup Finalist Quick Star 11 (Quick Star) ridden by Pablo Barrios and the international showjumping horse Favorite Lady (Burggraaf) ridden by Ray Texel. Breeder: Herman Keltjens, Velden.